For his grandson, also a Congressman, see William Michael Cocke. William Cocke (1748 – August 22, 1828) was an American lawyer, pioneer, and statesman. He has the distinction of having served in the state legislature of four different states: Virginia, North Carolina, Tennessee, and Mississippi, and was one of the first two United States senators for Tennessee. Cocke was born in Amelia County, Virginia in 1748. He was of English descent. He was the sixth of ten or eleven children of Abraham (c.1695–1760) and Mary (Batte) Cocke. He was educated at home before reading law, and was admitted to the bar in Virginia. Cocke engaged in a limited law practice, and spent more time on the frontier than he did in a law office. He was involved in exploration in the company of Daniel Boone, seeing much of what was to become eastern Kentucky and East Tennessee. Cocke was an elected member of the Virginia House of Burgesses. In 1776, as a colonel of militia, he led four companies of men into North Carolina's Washington District for action against the Indians. Later that year, he left Virginia and moved to what was to become Tennessee. During the organization of the State of Franklin, Cocke was elected as the would-be state's delegate to the Congress of the Confederation. 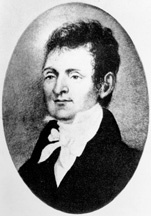 In 1796, Cocke was chosen as a delegate to the convention that wrote the first Tennessee Constitution. The newly formed government selected Cocke to be one of the new state's initial senators, along with William Blount. Cocke and Blount presented their credentials to the United States Senate on May 9, 1796. The Senate, however, refused to seat Cocke and Blount while the debate regarding the admission of Tennessee into the Union was on. When Tennessee was finally admitted on June 1, the issue of Cocke and Blount's seating was again raised. The Federalist Senate held by a narrow margin (11–10) that Cocke and Blount's election was illegal because it had occurred without congressional authorization. The Tennessee legislature duly re-selected Cocke and Blount on August 2. Cocke's initial term expired on March 3, 1797. The Tennessee General Assembly, however, neglected to elect a successor to Cocke; he was subsequently appointed to his former seat by Governor John Sevier on April 22, 1797, until the General Assembly belatedly elected his successor, Andrew Jackson. Later, he was elected by the Tennessee Assembly to the other U.S. Senate seat, and served from March 4, 1799 to March 3, 1805. Cocke was appointed a judge of the First Judicial Circuit of Tennessee in 1809. He later resigned this position and moved to Mississippi. There, he was elected to the state legislature in 1813. He briefly returned to military duty, serving under Andrew Jackson in the Creek War. In 1814, he was appointed by President James Madison to be an Indian agent to the Chickasaw nation. Cocke died in Columbus, Lowndes County, Mississippi, in 1828 and is buried there, in Friendship Cemetery. Cocke County, Tennessee is named in his honor. His son, John Alexander Cocke, was a four-term U.S. Representative from Tennessee; his grandson, William Michael Cocke, was a two-term U.S. Representative from Tennessee. ^ Butler, Anne M.; Wolff, Wendy (1995). "Case 4: William Blount and William Cocke". Senate Election, Expulsion and Censure Cases from 1793 to 1990. Washington, D.C.: Government Printing Office. pp. 10–12. United States Congress. "William Cocke (id: C000572)". Biographical Directory of the United States Congress. Cocke, William. "[Letter] 1787 June 25, Mulberry Grove, State of Frankl[in to] Governor George Mathews / William Cocke". Southeastern Native American Documents, 1730-1842. Hargrett Rare Book and Manuscript Library, The University of Georgia Libraries, Digital Library of Georgia. Retrieved 21 February 2018.